Can a mouse really fit into a hole the size of a biro? 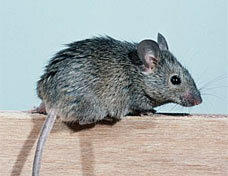 TRUE: During the warmer months, common house mice are content to live outdoors, munching on cereal grains and seeds. But at the first sign of a cold snap they'll scamper towards the comforts of the nearest human dwelling and find their way in. Once there, they will nibble at (but not necessarily consume) practically anything they can get their tiny teeth on, including lead, rubber, plastic and even some forms of concrete. This is because they have to gnaw all the time to keep their ever-growing incisors trimmed to the right length. It's this gnawing, along with a relatively soft skull and an already slender, flexible body, that allows the mouse to get through improbably small holes. Any openings in your home that are wider than 6mm (a quarter of an inch) and you're in trouble: through a combination of squeezing and nibbling, the mice could well be moving in. And remember, too, that the resourceful mouse can also jump 46cm (18in) vertically, swim, happily travel upside down and scuttle up pretty much anything. TRUE: The British author who went on to write The Satanic Verses and Shalimar The Clown worked for two major advertising agencies in the Seventies while trying to establish himself as a serious author. During this period Rushdie came up with "naughty but nice" for cream cakes and "irresistibubble" for Aero chocolate bars. Fellow author Fay Weldon created the "go to work on an egg" campaign in the Sixties. TRUE: In the Sixties Delia, chef and owner of Norwich City FC, had a variety of jobs, working as a hairdresser, a make-up artist and a shop assistant. Of course, she also landed a job in a restaurant - the Singing Chef - where she rose through the ranks from doing the washing-up to waitressing and eventually preparing food. In 1969 she was also working as a home economist, an occupation that would nowadays be labelled 'food stylist'. One of her first commissions was to bake a cake that would be photographed by Don McAllester for the Let It Bleed cover. She later recalled that the cake was supposed to be "very over-the-top and as gaudy as I could make it". Sadly, in 1973 the photographer David Bailey rather than Delia was called upon to create the sleeve for Goats Head Soup. FALSE: Unusually for such a widespread urban myth, the suggestion that the TV quiz show host could be behind the 1978 hit's famous saxophone riff can be pinpointed to one man: music journalist Stuart Maconie. The writer confessed in his 2004 memoir Cider With Roadies that, while working for NME, he started inventing trivia for a column. One such piece of trivia was the Bob Holness 'fact'. The classic saxophone part was actually played by session musician Raphael Ravenscroft. TRUE: In 1893 Conan Doyle and his frail wife Louisa moved to Davos, believing the Swiss mountain air would help her. While there, Conan Doyle heard about the Branger brothers who had brought the first 'Norwegian snow shoes' to Switzerland. After intensive training he joined the brothers to complete a seven-hour ski trek over an avalanche-prone pass to Arosa. Their escapade inspired a skiing boom and transformed Switzerland as a tourist destination. FALSE: In 2002 US high-school student Britney Gallivan, left, succeeded in breaking the seven-fold limit, after being set the problem as a maths exercise. At first she tried thin materials, and managed to fold a 4in square piece of gold foil more than seven times, with the aid of fine tweezers. But this was cheating: it wasn't really paper. So she decided to go for size instead of thinness. She acquired a 4,000ft-long roll of lavatory paper (ordered over the internet) and she and her family set about folding the paper in a shopping mall. It took them seven hours - but they succeeded in folding it an unprecedented 12 times. TRUE: The father of the fax was Alexander Bain who, in 1843, patented Bain's Telegraph. By this time the electric telegraph had been around for a few years, but the Bain's Telegraph was able to produce remotely an exact copy of physical lines, letters or shapes, rather than simply transmit a predefined set of letters or numbers as codes. So Bain became the first person to transmit an image over the wire. The source image had to be created on a metal sheet which was scanned using a stylus with the dark and light areas transmitted as electrical impulses and reproduced at the receiving end on chemically treated paper. The underlying principles of Bain's approach - scanning a document for light and dark areas - formed the basis for all subsequent fax devices. TRUE: Many countries have legislation giving livestock owners the right to 'pop a cap' in your pup if it is vexing their flock. In England and Wales, under the Animals Act 1971, the owner of livestock is perfectly entitled to shoot your dog if it is "worrying or is about to worry" the animals and there is no other prevention available. 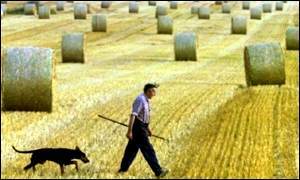 In fact, even if your dog has finished worrying the sheep and is then having a good roll-around in the grass, the farmer can still shoot it if it is not under proper control and you are not around to claim possession of it. TRUE: Polar bears have completely black skin. This is a serious problem if you get your dinner by creeping up on unsuspecting seals on white ice floes. Fortunately for the bears, though, their hair is a dense fur of transparent strands that takes on the hue of the light around it. In normal daytime conditions this means it appears white, offering camouflage providing the fur is clean. At sunset and sunrise it may appear to be a yellowy-orange colour, again matching the surroundings. FALSE: In the UK it is not illegal to burn money but, ironically, defacing it is subject to a penalty under the Currency and Bank Notes Act 1928. The reasoning behind this apparent discrepancy is that you could attempt to keep a defaced note in circulation, whereas once in flames it has gone for ever and no longer has any value. Notes do get mutilated, defaced and destroyed in daily use, of course. 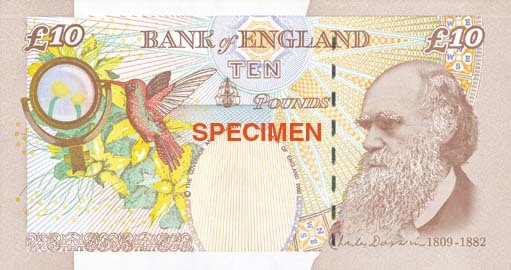 The average lifespan of a fiver is only about a year, according to the Bank of England. In 1994, art pranksters The K Foundation burned £1million and got away with it. But they had previously been fined £9,000, plus £500 'reprint costs' for defacing £1million worth of £50 notes by nailing them to an art gallery wall. TRUE: Although they might look quite soft and furry, tarantulas actually have very fragile exoskeletons. A fall even from a height of just a few centimetres seriously risks shattering the exoskeleton, or simply rupturing the abdomen. Either way, it's likely to be fatal for the spider. TRUE: The invention of the aeroplane is credited to the Wright brothers who made their first powered flight in 1903 but a parachute sketch appears in Leonardo da Vinci,s Codex Atlanticus. He wrote that, with the necessary design, "anyone could jump from any height whatsoever without any risk". The first person to deliberately jump using a parachute (and survive) was a Frenchman, Louis-Sebastien Lenormand. It is thought he made his first jump from the top of a tree and then, in 1783, leapt from the tower of the Montpellier Observatory. By the 1790s, parachutes were being made from silk, and enthusiasts were jumping from balloons. TRUE: The average celery stalk is mostly water, but it does contain about six calories. However these are not absorbed into the body as they are in the form of cellulose, which cannot be digested. But eating the stalk does burn a tiny number of calories - so there is a net loss. Serving size vs portion size. Do you know the difference?